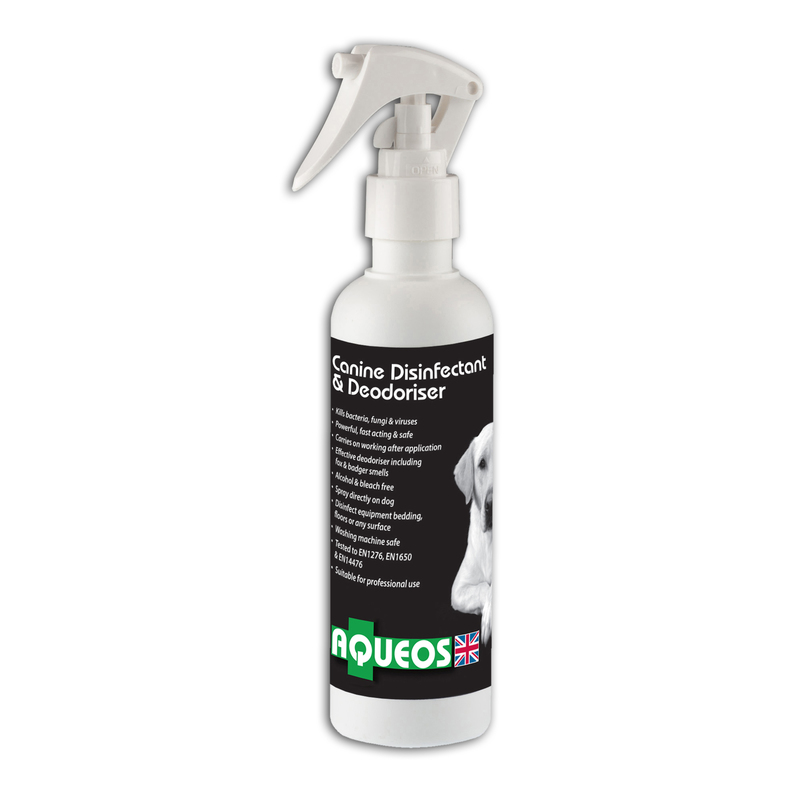 Disinfectant and deodoriser anti-bacterial and anti-fungal desgined to carry on working after application. Spray on dog, bedding, feeding bowls, floors and any surface. Effective Deodoriser including fox & badger smells.